It's the first major of the year peeps. 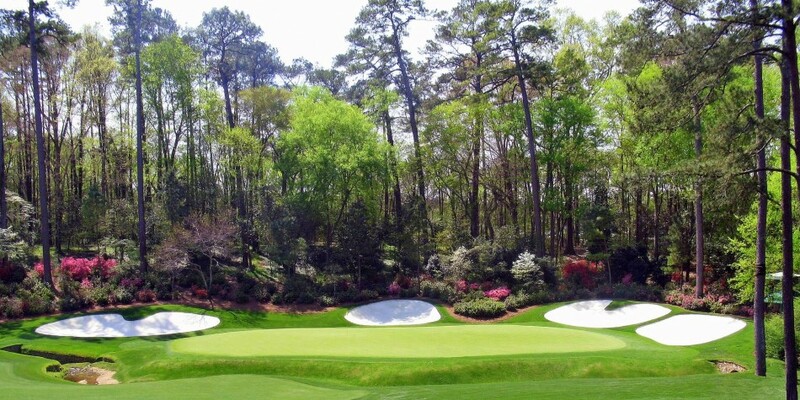 The 2016 US Masters tournament starts on Thursday and SpankTheBookies brings you a betting preview which will hopefully make everyone a few quid. Whether you're an experienced golfing punter or even if you're new to the sport - I'd definitely recommend that you tune into the final day on Sunday. Some people say that it's very difficult to make a profit betting on golf but I disagree. I believe that with the right research and sensible stakes golf is definitely a sport where you can be successful. Hopefully this preview will help you understand the Augusta golf course and give you an idea of exactly what you'll need to be victorious. Augusta National Golf Club, located in Augusta, Georgia, is one of the most famous golf clubs in the world. It is a Par 72 measuring 7,435 yards. It opened for play in January 1933 and has hosted the annual Masters tournament since 1934. Tom Fazio orchestrated a major overhaul of the course in 2002 which saw the greens changed to bent grass, the fairways tightened and over half of the holes lengthened. The green are usually lightening quick and very undulating. Membership at the Augusta National Golf Club is strictly by invitation only, there is no application process and an annual membership can cost up to $30,000. If you wish to watch coverage of all four days then Sky Sports is the only way that you can do this. Live coverage starts at 7pm each evening but you can find some action under the red button before that. BBC will show coverage on the Saturday and Sunday. You can also click the red button for limited coverage of Amen Corner, plus holes 15 and 16. Right then, lets get down to business! What do you need to win the 2016 Masters Tournament? I hear so many different opinions on this. Some experts say that you need to drive the ball long. Some say that you need to be accurate off the tee. Some tell me that putting stats are crucial. My opinion? GREENS IN REGULATION and SCRAMBLING. You need to pound the green and when you miss them, you need to get up and down. Those two stats pop up almost every time for past winners and players who finish in the top 10. Spieth was the winner last year and he was ranked 49th for GIR and 4th for scrambling. That form has to be taken with a pinch of salt because the greens were soft but those two stats are backed up almost every year. Rose, Matsuyama and Casey all finished in the top 10 and all ranked high in the two key areas. 2014's winner was Bubba Watson he was ranked 24th for GIR that year. Kuchar and Senden were top 10 finishers and were ranked high that year for GIR and being able to get the ball up and down. 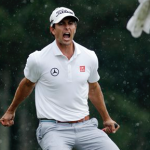 Adam Scott won the year before that and was ranked 11th for GIR and 37th for scrambling. Jason Day was only two shots back in 3rd and ranked as one of the best for scrambling that year. We'll be using those areas to carefully select a team of golfers to take on the Augusta National course. Last years winner Jordan Spieth will be a popular choice, I don't think there is any doubt about that. He won by an impressive four shots in 2015 but I'm taking that result with a pinch of salt. I'm not for one moment knocking him because he played the conditions wonderfully. I just think that his current form along with the firmer conditions will catch him out. He ranks low on the Greens In Regulation stats so far this year and he is opposable at odds of around 9/1. Yes I'm a massive Adam Scott fan. Yes I thought he'd struggle for a year or two after giving up his long putter. Yes I was wrong. With two wins and two 2nd placed finishes in eight PGA events this season he is tough to oppose. He ranks 7th for greens in regulation in 2016 and 77th for scrambling. He's drives the ball a mile and he rarely misses a green. He backs those stats up with the putter and he won here in 2013. If I'm being totally honest I'm finding it hard to leave the Australian out. 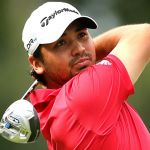 The best player in the world right now for me is this man, Jason Day. He's sometimes painfully slow and he clearly has his own unique way of navigating his way around the golf course. I don't think there is a weakness to his game, he does almost everything at a rating of 7.5/10 but he has nerves of steel and when the chips are down he often pulls out a worldie. The greens in regulation and scrambling stats aren't bad but after viewing them they are enough to make me oppose the current world number one. It's a dangerous move and one that I might regret, we'll see. Day ranks 65th and 69th for GIR and Scrambling in 2016 which is weirdly significantly poorer than last years stats. I've said time and time again on these previews that if Rory plays to his maximum then quite simply he'll win. I genuinely believe that Rory McIlroy's best game is better than anyone else's on the PGA tour. When Rory brings 'it' then no one can match him but he often leaves 'it' sitting at home in the garden. His putting this year has been nothing short of awful. He ranks high in both of my key areas, 35th for GIR and 33rd for scrambling but I'm struggling to tip someone who looks as if he's going to miss everything from 10 feet. What I will say is that Rory might get his putter red hot for a day or two and he might lead after the first day but I don't expect him to stay there. His putting will get worse if he's under any pressure and if I'm having any bet at all on the Northern Irishman then its to be leading after day one. Greens in regulation in 2016 - 2nd. Scrambling in 2016 - 39th. With an iron in his hand there are few better than Rickie Fowler this season and he's always been high up on the scrambling leaderboards. He finished T12th last year around here and T5th the year before that. I'd be amazed if he's far away from the place money and the 18/1 looks tempting. 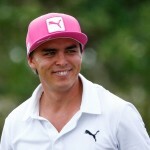 He's had a few near misses in majors and its amazing to think that Rickie is still searching for his first win in a major. Being with Butch Harmon will help as I'm sure that he'll be looking to Phil Mickelson for some words of advice how to win around here. One of the best ball strikers on the PGA tour looks set for a massive weekend! After a very poor 2015 Charl Schwartzel seems to be back to somewhere near his best. I really like this guy, I talked about Rickie Fowler's ball striking with an iron in his hand but Charl is just as good. Ranked 18th for GIR this season and 11th for scrambling. To put it in simple terms I'll be amazed if Charl Schwartzel doesn't give backers a run for their money. He's not a huge hitter off the tee but he's certainly not short. He's a past winner at Augusta (2011) and he's won once on the European Tour and once on the PGA tour this season. He's currently around the 35/1 mark and I'm very interested. 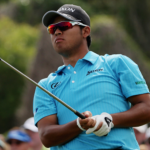 Currently priced around 40/1, Hideki Matsuyama ranks high on both of the key areas. He's 14th for greens in regulation in 2016 and was 21st for the same stat last year. His ability to get up and down when he misses greens is eye catching too as he currently ranks 67th on the PGA tour for this area. 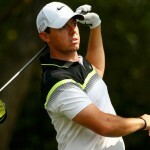 This will be his fifth Masters and he finished 5th last year. He's often regarded as the best iron player in the world and although I'm not sure I totally agree with this statement, he's definitely high up on that list. He hits the ball high which means he will be able to get the ball to stop quickly on these lightning greens, I think he has a good chance of another top 10 finish at Augusta. Tee to green Justin Rose is probably as good as anyone. 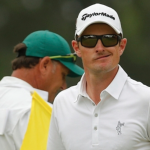 Green to hole Justin Rose has always been average at best. In 2015 he hit the ball longer and straighter than Jordan Spieth. He also hit just as many greens as the American but still lost by four shots. Much like Rory McIlroy, if the putter is hot then he has a chance but I struggle to see him keeping it even warm enough to have a chance of winning the Masters. He may well lead after day one or even hold the lead at some point during the four days but I don't think I can back him to win outright. 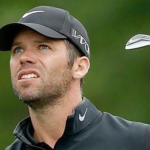 Paul Casey was forced to withdraw from last weeks tournament with an illness but he's good to go this week. He's been speaking up his chances at this years Masters so I feel he's definitely worth a mention. He finished T6th here last year finishing -9 and he's been playing some solid golf in 2016. His green in regulation stats are eye-catching as he's ranked 10th this year and was ranked 5th last year. He does struggle to scramble for pars when he misses the greens so this is an area where he might struggle but at 66/1 he's definitely got an outside chance. 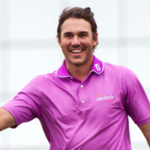 Its the greens in regulation stat that gets Brooks Koepka a mention on this preview. He is lethal tee to green and although his scrambling stats aren't quite up to the same standard I believe that this guy hits enough greens to have a definite chance of being somewhere inside the top 10-15 this week. At the Open Championship last year he led the whole field in tee to green stats and did the same at the Wyndham Championship and Alfred Dunhill Links where he missed only seven greens all week. He has the talent to leave his mark on this tournament and can be backed to finish inside the top 20 at 7/4. 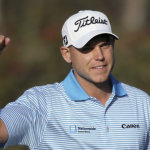 The World Number 29 Bill Haas is another golfer who ranks high on the both key stats and could out run his 110/1 odds so he's worth a small mention. He finished on -6 last year which was good enough for 12th position. He's not long off the tee but he's ranks 39th for GIR and 12th for scrambling in 2016. This is no flash in the pan as he ranked high for those same stats in 2015. Use Bet365 for your golf bets. Click here, click join and deposit anything from £10 - £200. You will receive the same amount in free bets.